"Fragrance" on a label can indicate the presence of up to 4,000 separate ingredients. The Freedom of Information Act (FOIA) does not 'free up' all information. The FDA does NOT have to disclose trade names, trade secrets, and confidential commercial or financial information. It says so in the Code of Federal Regulations (CFR) 21CFR170.39(e) and 21CFR20.61(a-d). It is difficult to know what is in a product when one or more ingredients are sheltered under a trade name. 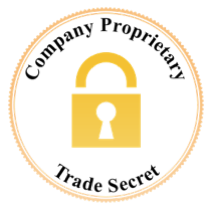 It is even more difficult when the manufacturer claims the ingredients are 'proprietary' or 'trade secrets'. 'Secret' ingredients that fall below the Threshold of Regulation are essentially invisible to consumers. After 10 years the information can be disclosed under the FOIA. That does not help consumers make an informed decision at the time of sale or consumption. 'Active ingredients' must appear prominently and be set apart from 'inactive ingredients' on a label. But labeling an ingredient as 'inactive' or 'other' does not mean it is inert. The restrictions on a chemical's use can be different between environment, foods, drugs and cosmetics. Lindane is a simple example. 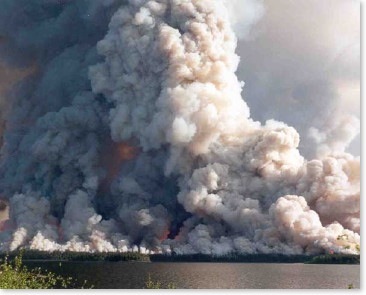 All uses of it were cancelled by the EPA in August 2006. 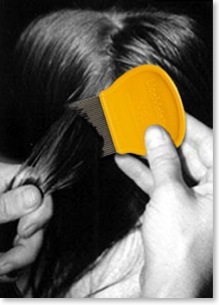 But the FDA still permits lindane in head lice shampoo. 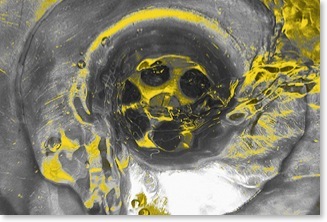 A more complex example involves regulation of hazardous wastes and farming practices. It costs money to dispose of hazardous waste. Money can be made when toxics are relabelled, mixed with other ingredients, and sold as fertilizer. The toxicants are taken up by plants as they grow. 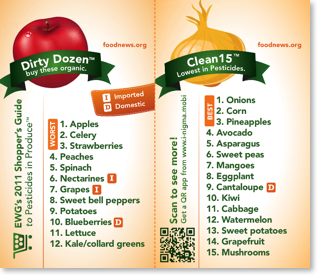 The contaminated produce will be consumed by people, with outcomes dictated by toxic synergy. Under one set of rules it is illegal to expose people to the pollution. Under another set of rules it is okay for them to eat it. Similar products (e.g. "soil amendments") are used in lawns, play yards, and gardens. It is important to understand that this is not an isolated practice — it is widespread and pervasive. To discover what's in a specific fertilizer try this Fertilizer Product Database. To read more about the investigative journalism uncovering this practice read this Seattle Times series. Or the book that followed. This document provides another look at the practice. It includes a table of test results showing Ironite, a common lawn fertilizer, with 3600 ppm arsenic and 2700 ppm lead. California is an agricultural powerhouse. The California Department of Food and Agriculture does not require heavy metal content to be labeled on common fertilizers. But many (in bold below) are highly contaminated with metals. These exceptions are in the California Code of Regulations section 2303 (s) on page 21. This research is an example showing that plants absorb antibiotics in fertilizer made from livestock manure. In this case corn, lettuce, and potatoes took up the antibiotic sulfamethazine. These crops have the potential to cause allergic reactions in people. Affected individuals might never be able to correlate their symptoms with this vector of exposure. In September 2006 an outbreak of E. Coli 0157:H7 bacteria was traced to spinach grown in California's Salinas Valley. Many consumers were stricken, massive recalls were done, and economic losses were large. The contamination didn't come from wild pigs jumping the fence. It came from "toilet to tap" water originally conceived as a way to water golf courses and other non-agricultural land. In 1998 Monterey County began irrigating 12,000 acres of agricultural land with it. Since then, the number of outbreaks has at least doubled compared to the previous 24 years. 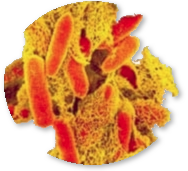 Drug metabolites in urine and feces are flushed away. Unused drugs are flushed or poured down drains. Run-off from personal care products run down drains. Those potent chemicals work their way into water supplies. Water treatment facilities are not equipped to handle them. People end up drinking water laced with unexpected chemicals. Many of the substances are only intended for external use or for very specific conditions. These substances are called "emerging contaminants". The EPA has found them almost everywhere that they have looked. Everyone is being exposed to chemical combinations that were never intended nor imagined. This study was undertaken by the Environmental Working Group in conjunction with East Bay Municipal Utility District (EBMUD). It shows widespread discharge of hormone disruptors like phthalates, bisphenol-A, and triclosan into the San Francisco Bay. Modern sewage systems are designed to treat biodegradable food, human waste and metals. They do not capture the thousands of tons of chemicals left over after countless products are used. Another example of a chemical passing through treatment facilities is Tamiflu. Tamiflu is promoted as a potential solution against pandemic influenza. The active ingredient — oseltamivir — survives all stages of sewage treatment and is released into the wild. 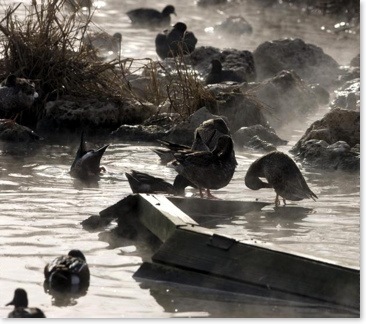 Flu viruses are common among waterfowl. The birds often forage for food near sewage outlets. This situation greatly increases the rate for drug-resistant virus strains to develop. Read these articles (2007 New York Times and 2008 Associated Press) for a little more detail. Browse these results in PubMed for a deeper view. Last century’s vision of 'better living through chemistry' has fueled the adoption of chemically-based products for everyday use. On August 29, 2005, flooding caused by Hurricane Katrina resulted in a city-sized version of body burden. Chemicals spilling out from thousands of sources mixed in ways that chemical engineers and the EPA never envisioned. Garages, kitchen sink cupboards, gas stations, hardware stores, small businesses, clinics, sheds and more. On December 29, 2005, a quart of mercury was found spilled in the gutter of a residential neighborhood in Livermore, CA. A day at the beach can expose you to more than just the sun. Here is a mash-up (map and searchable database) of water quality at popular U.S. beaches. Red tide's brevetoxin has been linked to asthmatic reactions away from the coast. 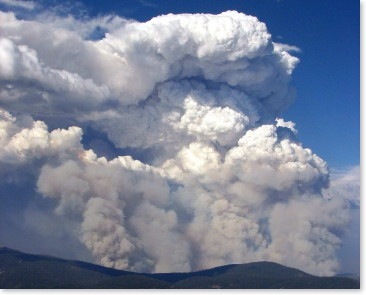 Ash collected in residential areas after the October 2007 fires in Souther California registered a pH of 12.7. That level is more caustic than ammonia and nearly as caustic as lye. Toxic metals — especially arsenic — were found in concentrations so high the ash exceeds federal standards for cleaning up hazardous waste sites. Rainstorms wash the ash and toxicants into waterways. People are at increased risk from ingestion, inhalation and absorption of toxic mixtures. Two relatively new industries — both growing rapidly — are poised to significantly increase the number of untested, potentially toxic creations that have no prior existance. The manipulation of chemicals to create materials and machines that are typically less than 100 nanometers (nm) in size. Particles of this size exhibit new and useful properties. They also more easily interact with the nanoscale functions of living entities. Not much is known about the effects of new nano materials on health and the environment, but there is enough evidence to justify proceeding with caution. This article helps explain what it is and where it is headed. This technology may herald important breakthroughs in technology and health. And it will introduce new organisms which have unknown impacts on health and the environment. The first synthetic virus was published in 2002. It is based on polio virus. The first synthetic bacterium was published in 2008. It is named Mycoplasma laboratorium. The FDA has already approved the use of synthetic phages to treat bacteria (Listeria monocytogenes) on lunchmeat. That applies well to people in a judicial system. It does not apply well for chemicals added to people. These links can help you take a more active role in reducing your personal exposure to chemicals. ‣ Plastic Loose Fill Council — what you can do with "packing peanuts"
The most comprehensive database of chemicals is controlled by the American Chemical Society. The information is not free. CHEMnetBASE is comprehensive and offers molecular formulas free of charge. PubChem is a taxpayer funded database that is gaining popularity. Currently its information is limited to relatively smaller molecules. Other databases can be accessed for a fee and found by searching the internet. Searching for an individual chemical often yields information, as can a search in MSDS databases such as CDMS. In the end, a product's brand or reputation is meaningless if the ingredients are harmful. Read labels, call the makers, let them know when you find ingredients unacceptable. Most of the customer service people you speak with will be surprised to learn what's actually in the products their company is selling. Be aware that cosmetic labels claiming something is 'natural', 'organic' or 'hypoallergenic' can be misleading. The FDA hasn't established official definitions for these terms. Companies can use them on cosmetic labels to mean anything or nothing at all. Claims of 'non-toxic ingredients' carry less weight today. A modeling clay made substantially from wheat flour may be labelled non-toxic, but to someone with Celiac disease it is poison. 'Low odor' dry-erase markers can still emit enough fumes to cause airway constriction in sensitive individuals.